San Diego certainly has the right kind of climate to be a great biking city. 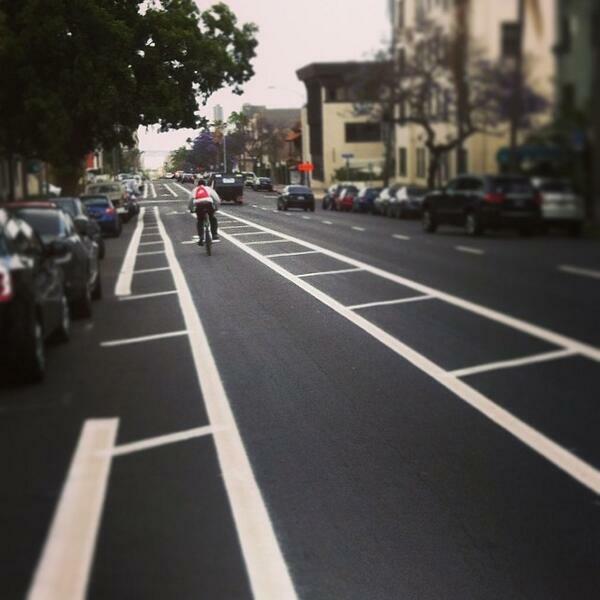 But its streets — wide, fast, scary — have been holding it back. 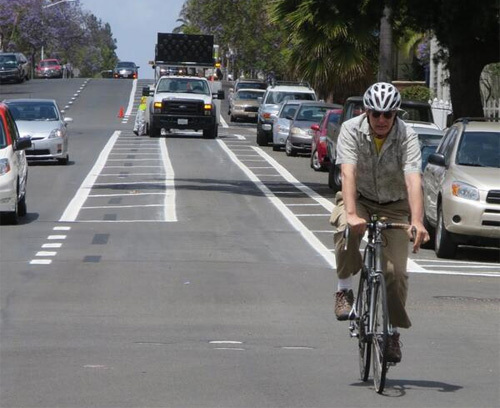 Hopefully this is just the start for San Diego, which seems to have more than enough room for some great protected bike lanes on its streets. Elsewhere on the Network today: Greater Greater Washington reports that bike commuting has tripled in DC since 2000. Car Free Dallas explains some easy and inexpensive steps to reduce pedestrian fatalities. And Mobilizing the Region considers how far the $1 million being spent to defend New Jersey Governor Chris Christie in the Bridgegate scandal could have gone toward making streets safer in the Garden State.